George Ronald Andrew was born February 9th, 1933 to William and Alice Andrew. Ron married Eva Elliott in 1959. They had three daughters, who are the pride of his life, Heather Girrior (Ken), Brenda Alexander (Darral) and Gina Alexander (Perry). They gave him six grand-children;　Blair (deceased) Bradley, Cerise, Jessica, James and Aissa. He was a proud great grandpa to 12 - 9 girls and 3 boys. Ron was predeceased by ten siblings; Gladys, Elvin, William, Ruby, Norman, Cliff, Richard, Gordon, Carl, and Margaret. He is survived by one sister, Evelyn. Ron was always a family man, a fine son-in-law, brother-in-law and friend. Over the years he worked several jobs. He drove the Royal Mail Truck, spent many years with the Department of Highways when construction of tunnels began down Highway #1, and finally purchased trucks and worked on building the Coquihalla Highway. After early retirement, Ron spent much of his time with family, fishing at Loon Lake and visiting friends. Ron will be sadly missed by Eva, his wife of 59 years, family and friends. 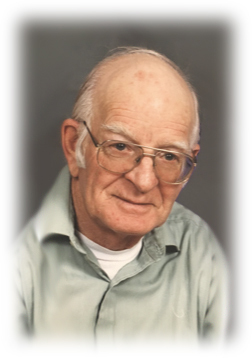 A Celebration of Ron's Life was held on Saturday, December 29, 2018 at the Canyon Golden Agers Hall, Hope, BC.